Frontier Village flashback #1: train ride. 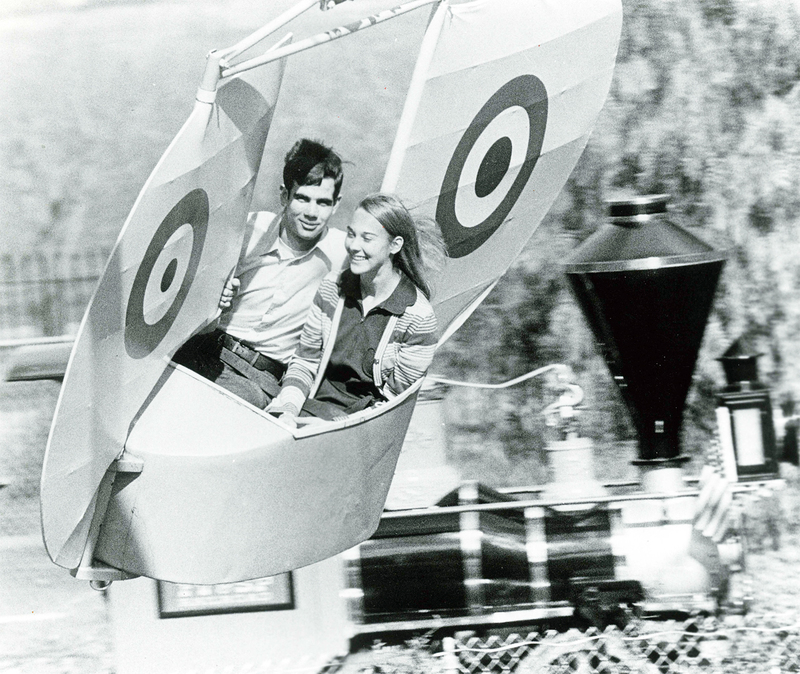 Frontier Village flashback #2: Kitty Hawk ride. Frontier Village flashback #3: gunslinger showdown. Frontier Village flashback #4: shackled. Sure, Sunnyvale had beautiful orchards, and new neighborhoods of Eichler homes. But there wasn’t much excitement—not until Frontier Village opened some 50 years ago, Lex van den Berghe recalls. He was among the first in line to catch the nostalgic exhibit ‘It Takes a Village: A trip back in time to Frontier Village, Santa’s Village, and Lost World,’ which just opened at the New Museum of Los Gatos. 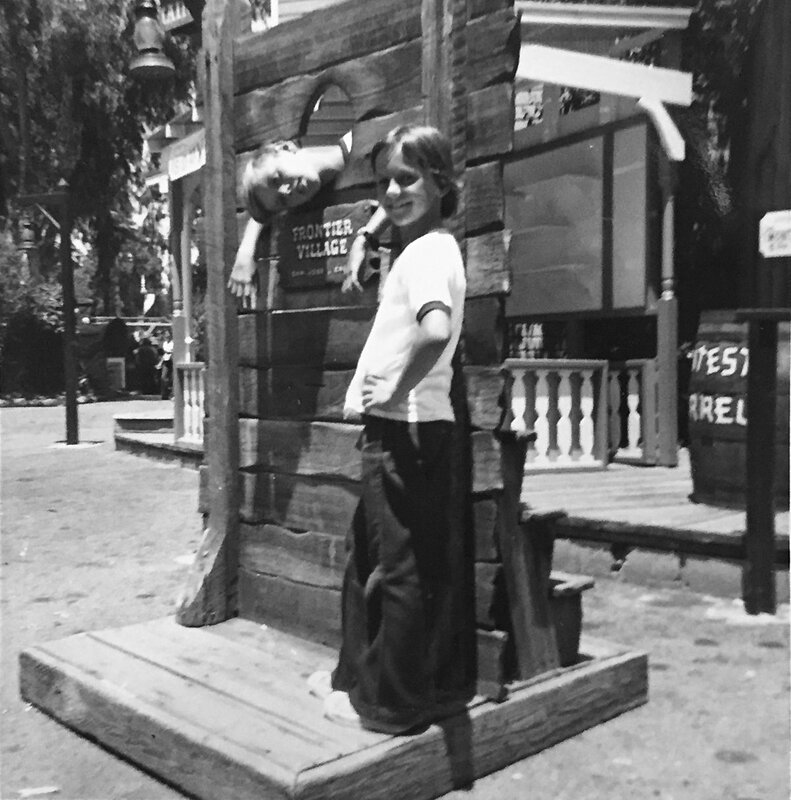 “It was my happy place for the longest time,” Lex recalls of the western-themed amusement park, which operated from 1961 to 1980. The exhibit also takes in two mid-century contemporaneous parks in the South Bay, Santa’s Village (run by the operators of Frontier Village) and the Lost World. The exhibit at NUMU Los Gatos runs through April 3. The museum is at 106 East Main Street, Los Gatos, in a repurposed mid-century modern building. 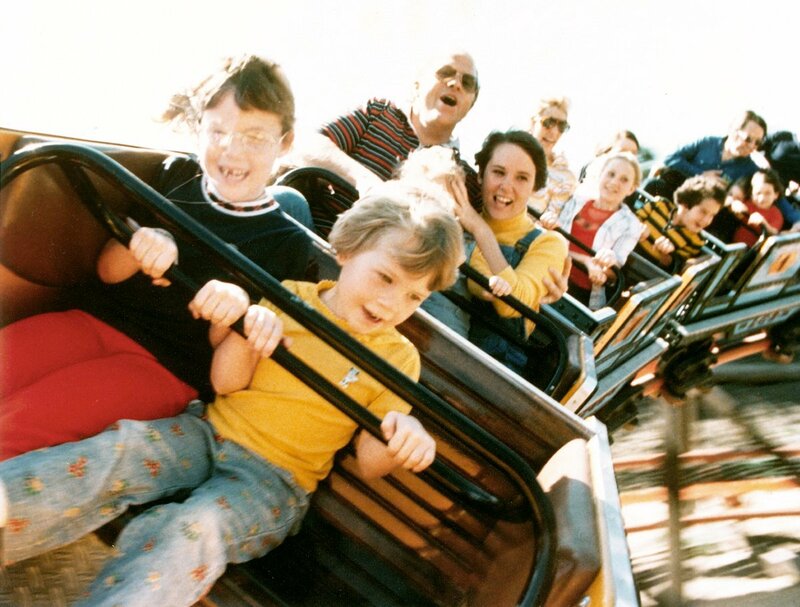 And for kids who wanted to go even wayer, wayer back, there was Lost World, which operated in Scott’s Valley from the mid-1960s to the mid- 1970s. The park featured immense, some even say life-sized, models of dinosaurs and ‘circus trees’—bizarre sculpted trees that were said to be almost as scary to small kids as the giant reptiles. But for Lex, nothing beat Frontier Village. “Like many kids I was obsessed with cowboys and Indians. It was on every kid’s mind back then,” says Lex, who began going there when he was six or so. 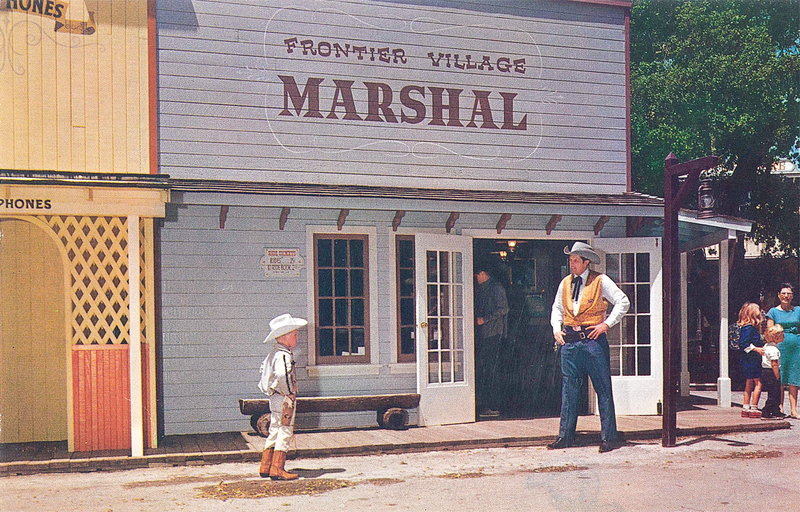 “Frontier Village was not dauntingly huge like Disneyland,” recalls Lex. “It felt huge to us kids, but I think parents felt fairly comfortable, because of its size, in letting their kids run loose like animals. 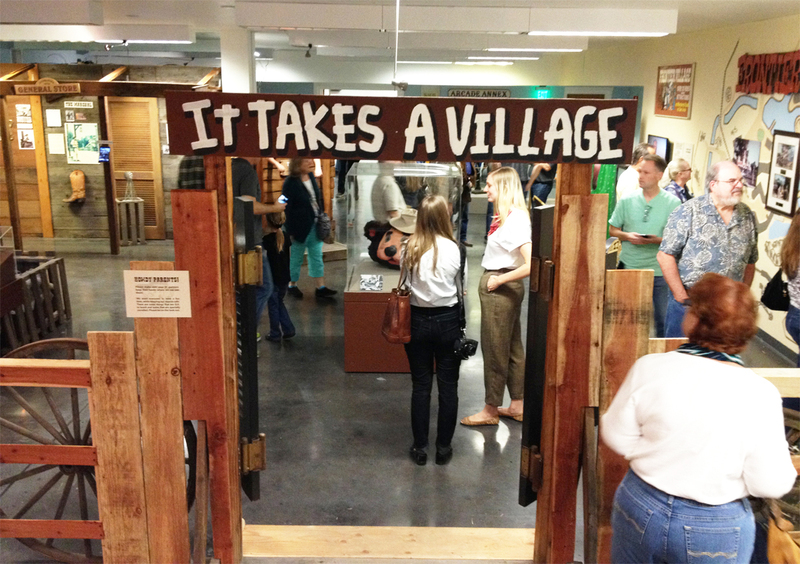 For more on the ‘It Takes a Village’ exhibit, click here.